In a blender, puree half the diced kiwi. Set aside. Fold the pureed kiwi into the yogurt mix. 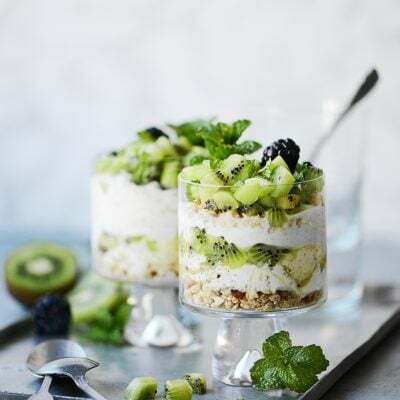 Layer the yogurt, granola and remaining diced kiwi in small glasses, sprinkling a little mint on top of each kiwi layer. Add blackberries if using any. Serve immediately.